What do you need to do to get your rental property ready? Our standards are quite high when it comes to cleaning and we provide a comprehensive Cleaning Checklist for clients who prefer to do this work themselves. Because our clients will get maximum return on investment for this expense, we frequently advise them to leave the final cleaning to professionals. You may also utilize your own vendor but we ask that you provide them with our Cleaning Checklist to ensure that they adhere to our standards. We will discuss the paint colors schemes and when you last painted the property. Neutral colors are a safe bet and more appealing to renters regardless of shades that may be considered popular or attractive. Avoid using multiple colors in different rooms and instead focus on one main color theme throughout the property. People prefer kitchens that look updated. Some small or less expensive improvements to a kitchen (such as a new sink/faucet, countertop, flooring or new light fixtures) can assist in giving a newer appearance to a kitchen with less modern appliances. Make sure that all cabinets and drawers open/close properly, do not have missing hardware and that they are in good working order. If window treatments are in good condition (and clean), allow them to remain. Plan to provide a tenant with blinds, shades or a covering for all windows that have an inside view from outside of the property. Heavily worn carpeting or multiple carpeting colors throughout the house frequently result in negative feedback from tenants and Agents. If your carpet is not in good condition, plan to replace them now or be prepared to replace them within the next 2-3 years. 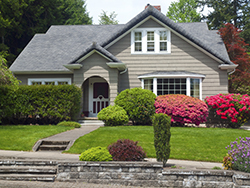 Landscaping is one of the first things a prospective tenant sees when they preview your property. Prune shrubs and trees, weed and mulch the flowerbeds, mow and edge the lawn. After you move out, we will arrange for any yard work or mowing that might be necessary until your home is rented (at your expense). It is important to submit Revert to Owner Authorization Form/Utility Authorization Form to your utility providers before you vacate. This authorization will prevent unnecessary utility cancellation charges and will ensure that Peabody Residential obtains invoices and remits payment directly to the utility providers. Property owners should remember to cancel all telephone, internet, trash and cable services as soon as you vacate the house. It is recommended that trash service remain active until at least a week after you leave to make sure they do the final pickup after you move out and trash removal after cleaning. Oil tanks should be filled by the owner prior to vacating.